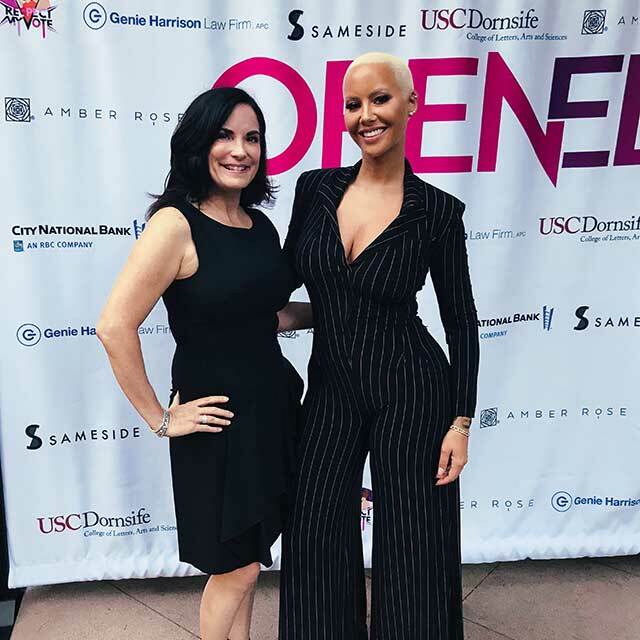 The Amber Rose Slutwalk was featured in the LA Weekly. Rose first became known as partner to Kanye West and then wife of Wiz Khalifa but has gone on to create a platform as an entrepreneur, model, activist and proud ex-stripper. She founded the Amber Rose Foundation to fight victim blaming and to promote equal rights, and the SlutWalk is a way to draw public attention to those issues. Marching in lingerie isn’t about being an exhibitionist, as some might assume — SlutWalk started as a response to people who try to blame sexual-assault victims by focusing on what they were wearing at the time.